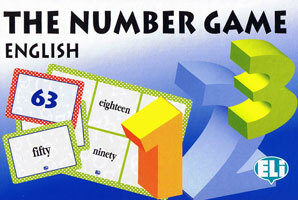 Fun number games to teach beginners their numbers in English from 1 to 100! The lively, full-colours cards and playing boards have numbers spelled out on one side and in digit form on the other. This game is equally suitable for children learning English as a second language, or for young native English speakers learning to read.